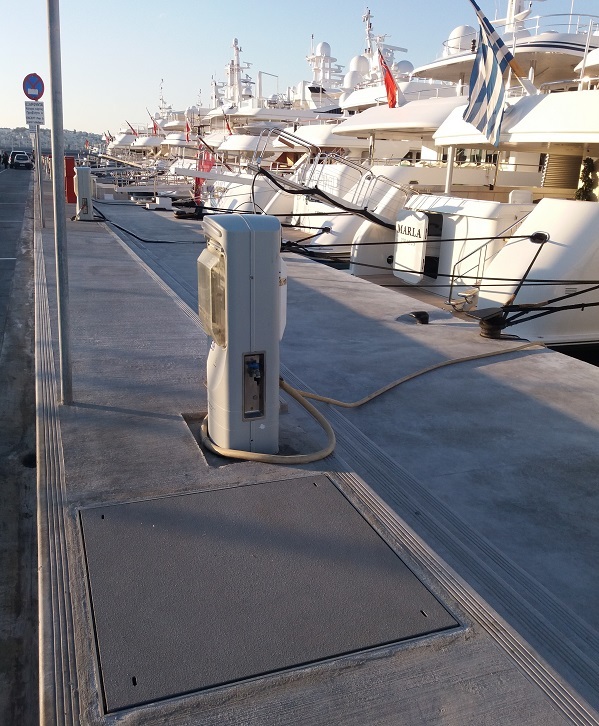 Our GRP Grating with a solid top provides lightweight and salt-water resistant service covers at an exclusive yachting marina. 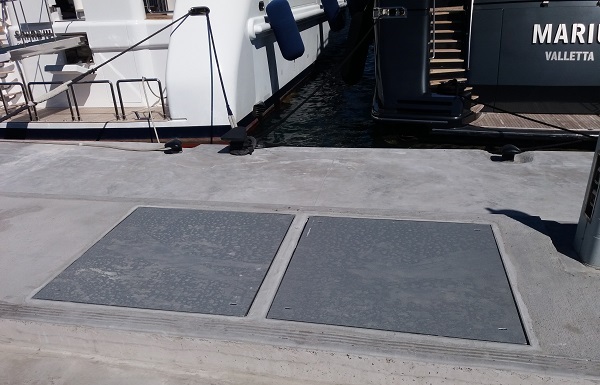 Made and installed by our sister company Evergrip Greece, these service covers are GRP solid top 50mm grating with a GRP 90-degree angle frame, internally lined with a neoprene rubber. 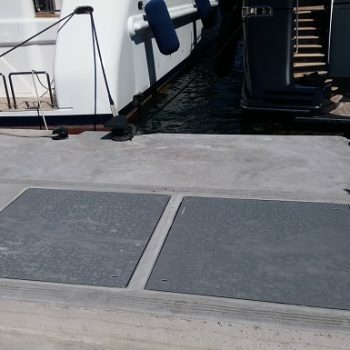 They’re a replacement for old metal covers which had started to rust. 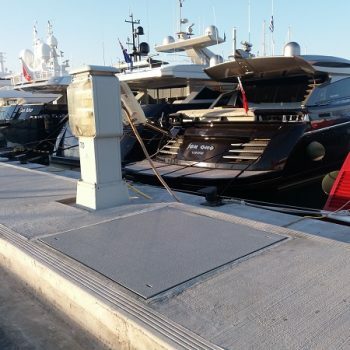 The unique properties of our premium GRP allow our glass reinforced plastic covered top grating to provide a long-term solution in coastal environments. 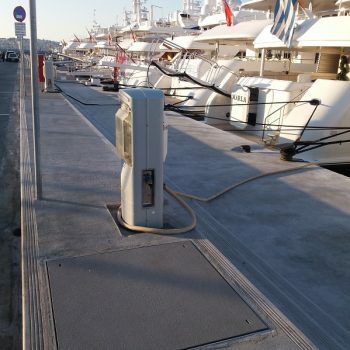 A neoprene rubber seal ensures sea water doesn’t leak into the electricity and fresh water points contained within. 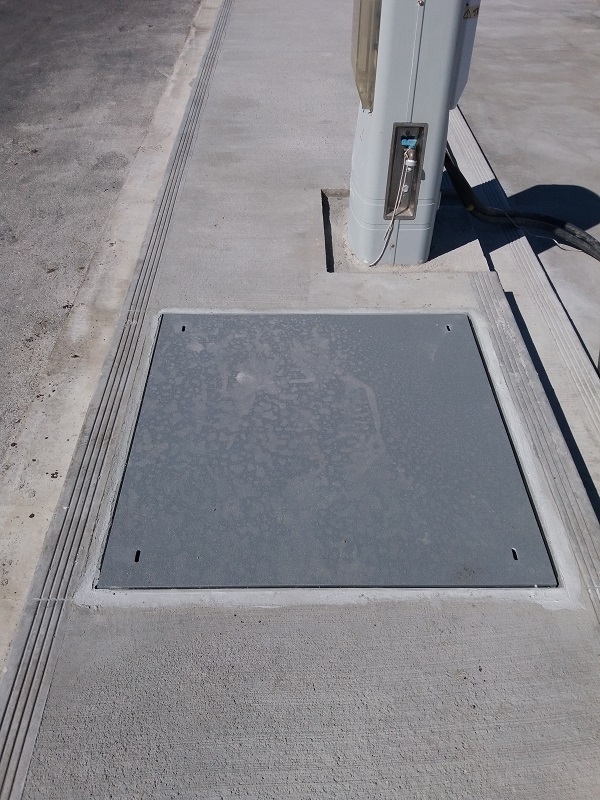 The covers are removable to allow easy access to the services. 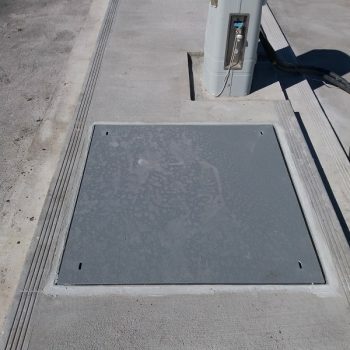 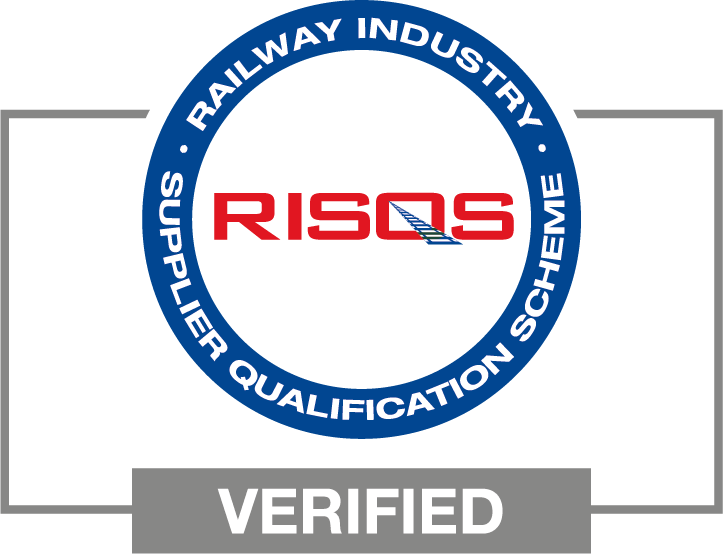 Find out more about our GRP Gratings here or call us on 01757 212744. 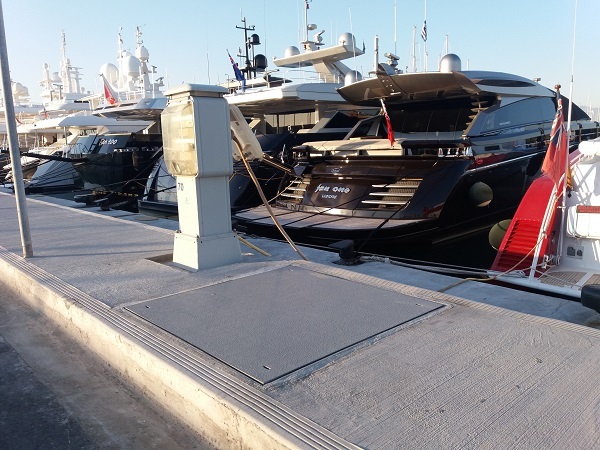 Flisvos Marina is an ultimate yachting experience with exclusive mooring services for mega-yachts, located just 6km from the centre of Athens.